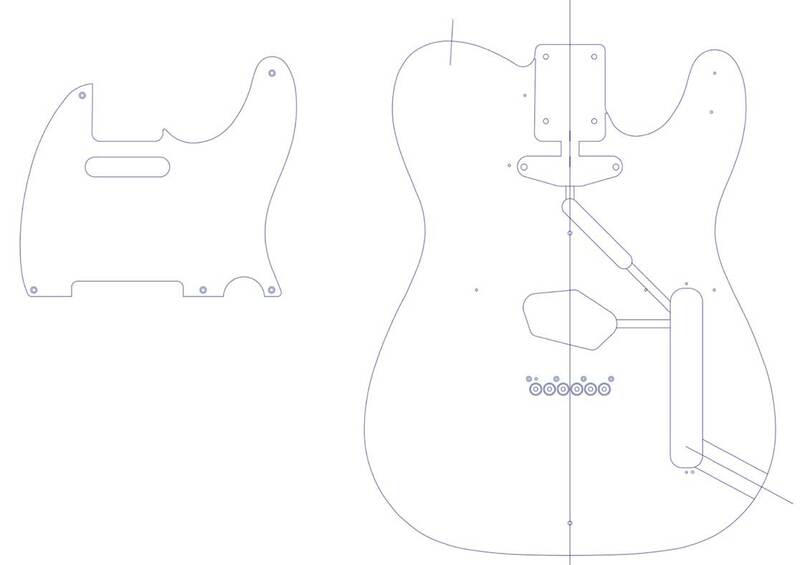 Download all Telecaster resources here (zip, 1.44mb). 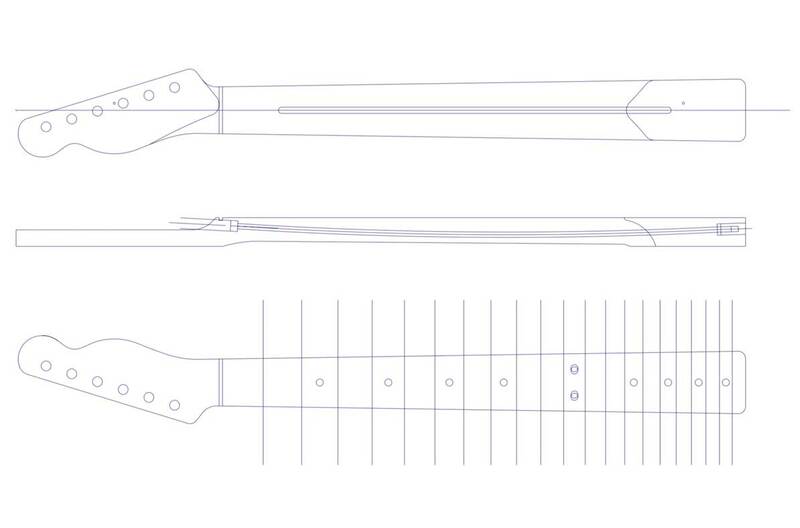 Featured: Neck, headstock, fret positions, truss-rod slot, heel. 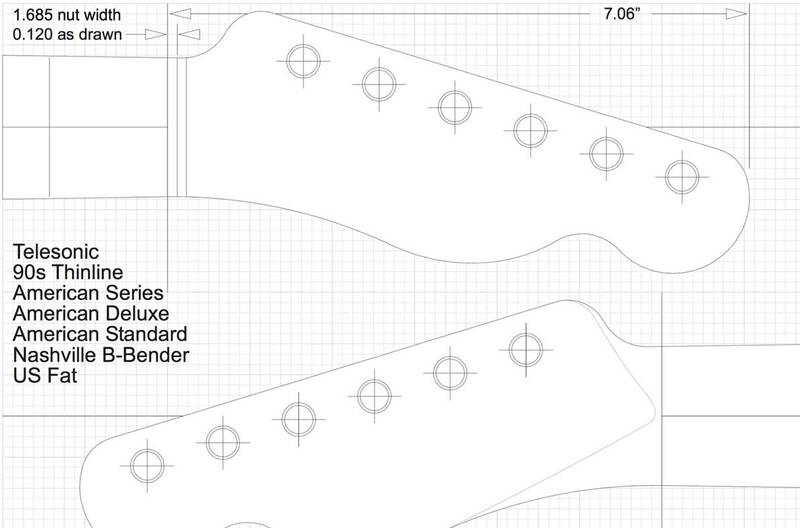 Featured: ’72 Custom, ’72 Deluxe, Deluxe (+ Vintage Strat Tremolo), Deluxe (+ P90s, Hardtail or Tremolo). 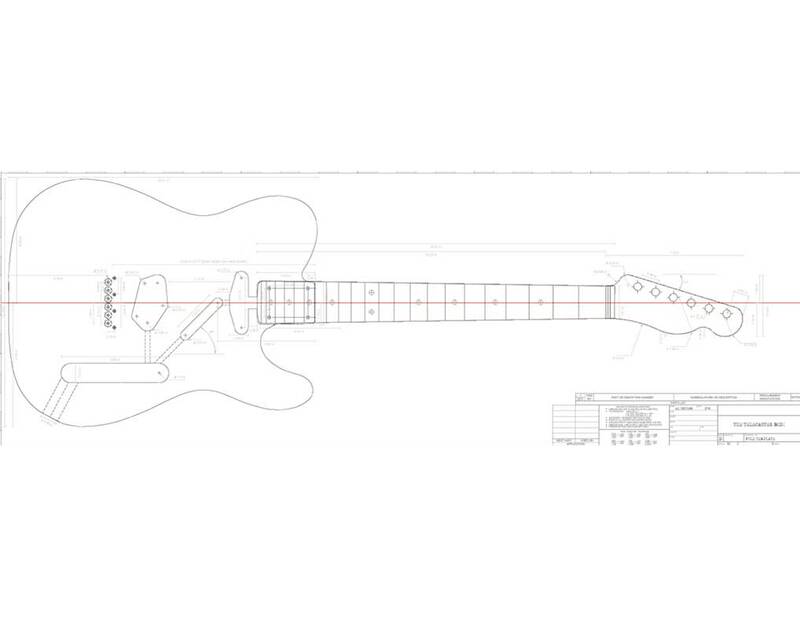 Featured: ’72 Thinline, Classic Player Thinline, ’69 / ’90s Thinline, chambering + F-holes. 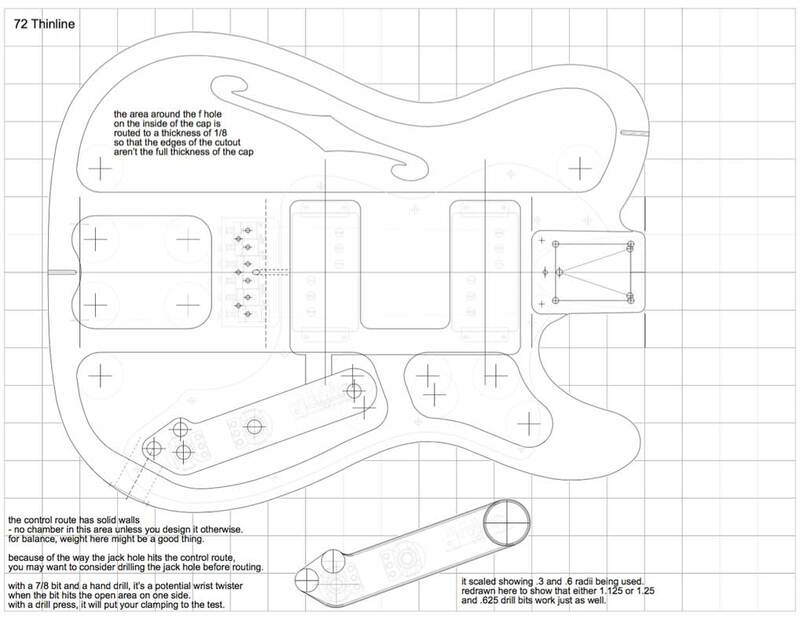 Featured: Body template, pickups & electronics routing, string-thru locations. 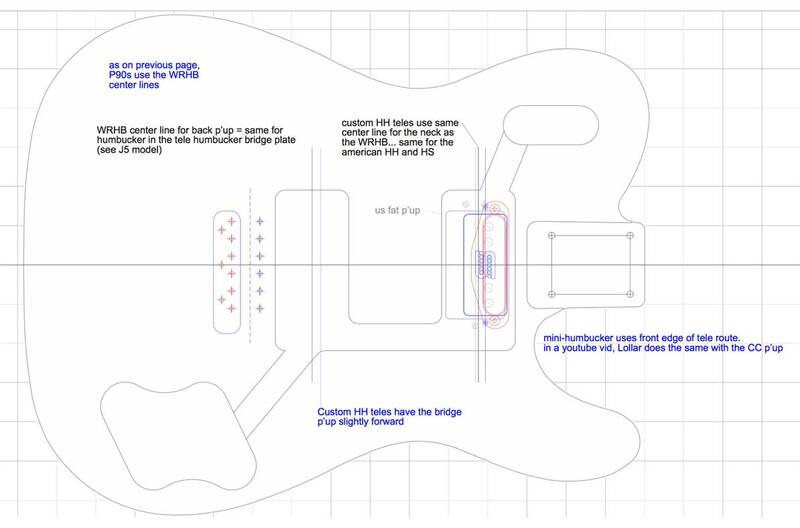 Featured: All Fender headstock designs, measurements, tuning machine marks. 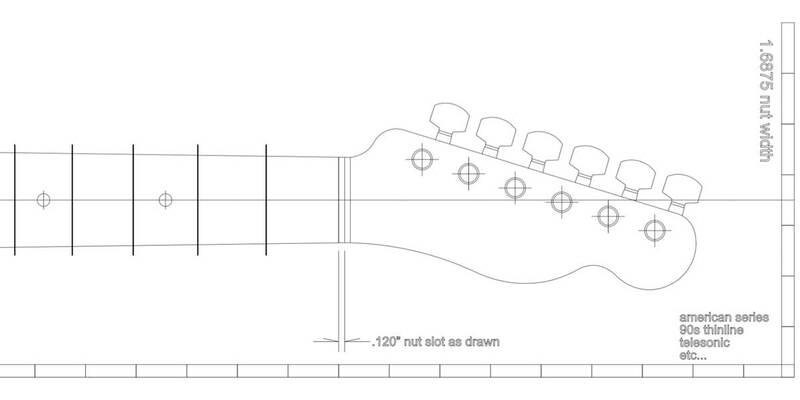 Featured: Measurements for nut width and slot width, 1:1 fretboard. 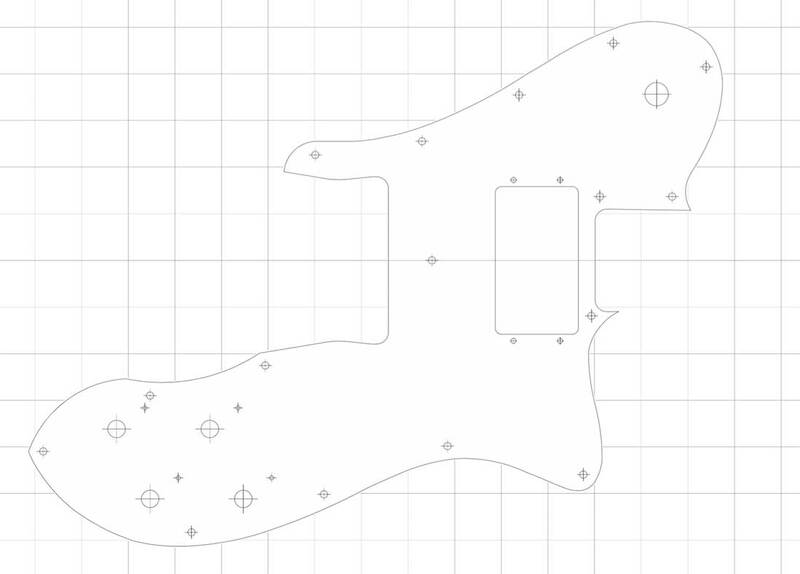 Featured: Cutting templates for all Telecaster pickguard variations. 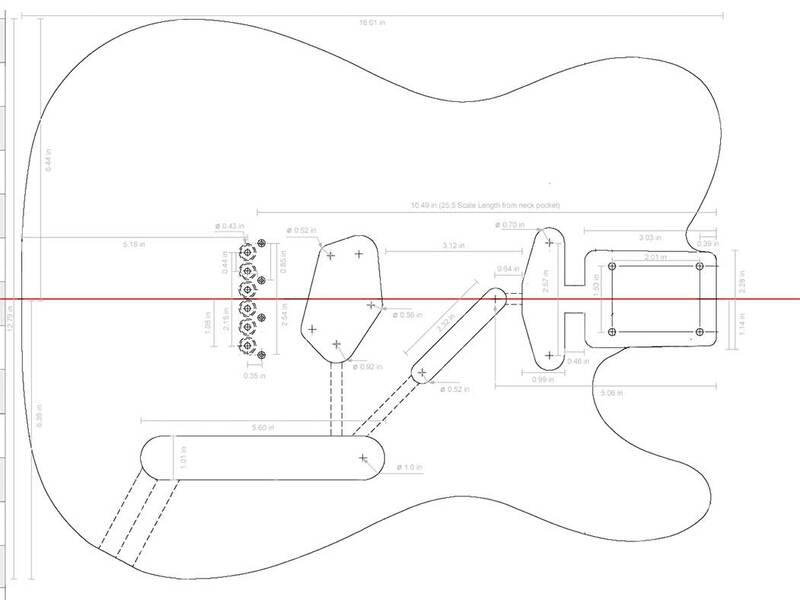 Featured: Full-size body, neck, headstock, routing cavities, measurements. 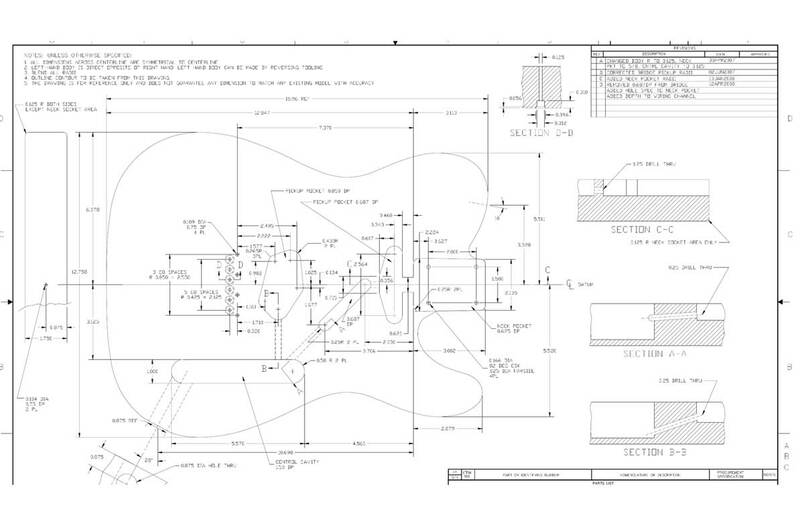 Featured: Body only, routing cavities, measurements.